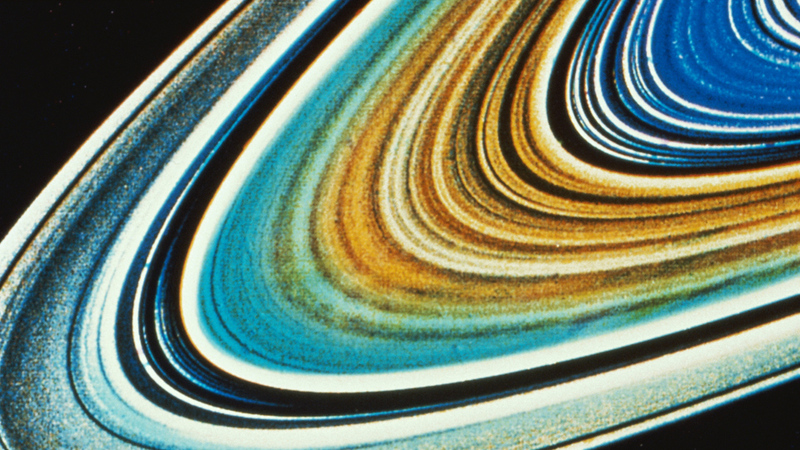 Since Galileo first sighted Saturn, scientists have been baffled by its beautiful rings. What are they made of and where did they come from? Saturn's rings were first discovered by Galileo in 1610. There are thousands of individual rings orbiting Saturn at different speeds, each containing billions of particles. Some astronomers believe that Saturn's rings are nebular material - left over from the formation of Saturn itself. Ancient collisions scars on Saturn's moons suggest that the rings formed from the remnants of smashed satellites. 100 million kilometres from Earth, the most beautiful, enigmatic features of our Solar System. Saturn's rings were first discovered by Galileo in 1610, using a simple telescope. Centuries later with sophisticated equipment, the rings of Saturn still look quite simplistic.